In case you haven’t noticed, studies indicate that performance management is undergoing a revolution. Formal systems are on the decline and more fluid methods are on the rise. This new trend is likely leaving you with plenty of questions about compensation. And the list goes on. Once you change your performance management methodology, your pay strategy is going to be affected. It’s inevitable. So what do you do? 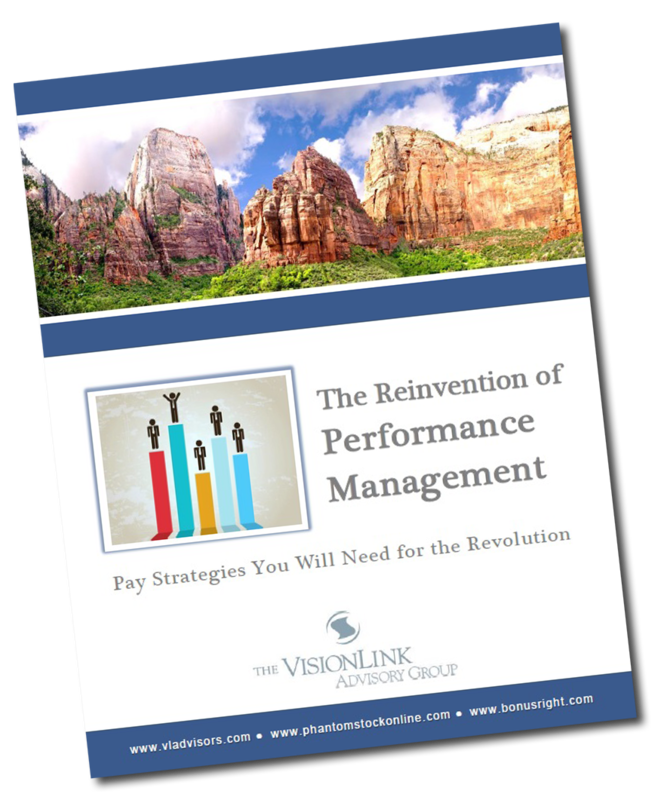 You read VisionLink’s new report—The Reinvention of Performance Management—that’s what you do. We have studied the research, tracked the trends and assessed the new role pay will have in this changing environment. Now we want to grant you access to what we’ve learned. You can do so by simply filling out the form on this page. Learn what the performance management revolution means to you. VisionLink has helped us successfully navigate a number of complex issues regarding our rewards programs. It has dealt with all facets of these varied issues with a high degree of competence, integrity, and straight forward advice. VisionLink’s experienced team has consistently delivered first class results in a timely, professional manner and has become a valued Storm partner.